“You are the sum of the 5 people you are around.” This powerful statement was said by Chantel George, Founder & CEO of Sistas in Sales (SIS) while welcoming the 85 amazing women who attended the “InSISt on Your Excellence Panel Discussion” on the evening of Thursday, September 27th 2018 at the beautiful Flight Deck at Pride Global on Lexington Ave. 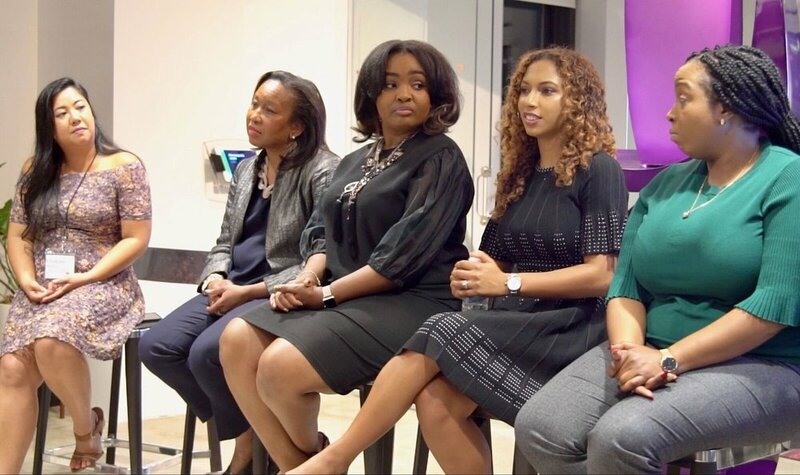 The panel discussion lead by Frances Melegrito, Diversity & Inclusion Recruiter at Yelp, had 5 sales professionals, career coaches and sales recruiters who gave us insight into their challenges of being a black or brown woman in the workplace. Rose-Ann Tifre, Account Director of Multi-Cultural Strategy at Pandora, Christen James, COO of Council of Urban Professionals, Angelina Darrisaw Cheeks, CEO & Founder of C-Suite Coach, and Alicia Simmons, Recruiting Manager at Wiley Publishing. These amazing women also shared precious gems on how to transition into industries or roles you may not necessarily be qualified for and how to do so efficiently. From left to right: Frances Melegrito, Diversity & Inclusion Yelp, Rose-Ann Tifre, Account Director of Multi-Cultural Strategy at Pandora, Christen James, COO of Council of Urban Professionals, Angelina Darrisaw Cheeks, CEO & Founder of C-Suite Coach, and Alicia Simmons, Recruiting Manager at Wiley Publishing. After the panel discussion, the guests were encouraged to take advantage of the breakout sessions which gave them the opportunity to sit in a room with the hiring managers or recruiters from Viacom, Spotify, NBCUniversal, Buzzfeed, and Google. 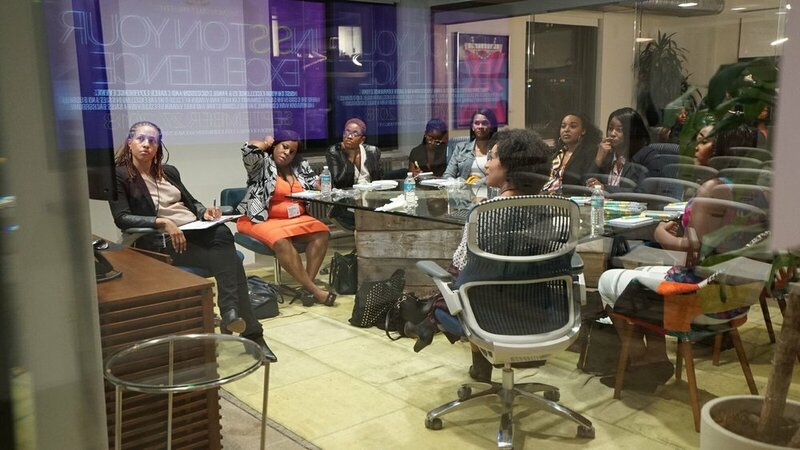 The breakout sessions were very impactful because it gave our SIStas the opportunity to be exposed to companies they may have been interested in or maybe have never imagined they would want to work for. I was excited to get in the room with an Account Manager at Viacom, Jenai Smith and their recruiter, Tasha Ross. I have been interested in Viacom for quite some time, and because of this event and this breakout session, I had the chance to sit in a room with two women that can potentially help move the ball forward for me with this amazing company. This testimony is what made this event so powerful. Chantel’s statement was put into action after the breakout sessions were through. We were encouraged to network with all the amazing SIStas in the room and leave with at least 5 new contacts that can help get to the next level in their careers. The mission of SIS has proven that these type of events are necessary. Black and brown women in sales often don’t feel like they have a seat at the table, but because of the SIS community, we are starting to believe that we can and will have one. We are a community of women that can rely and seek refuge in one another through shared experiences. Continue to InSISt on your Excellence, and we will continue to share the vital messages that will help us all propel in our respective careers.